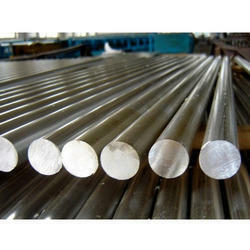 We are leading Importer and Supplier of Alloys such as Inconel, Hastelloy, Monel and Tantalum from Mumbai. Our offered range is in tandem with international quality standards and norms since we make use of best grade base material. 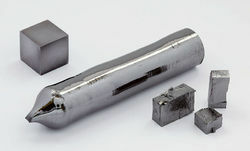 Reckoned in the industry as one of the prominent manufacturer, supplier, exporter, distributor and importer, we are engaged in offering UNS Tantalum. Dimensionally accurate in nature, these products are manufactured in the supervision of engineers who are well-versed with the technological developments. Post-production, these products are checked on various parameters to ensure flawlessness. We are a renowned firm, engaged in manufacturing, supplying, exporting, distributing and importing SMO Super Duplex Rod. Designed with perfection, these products are well-known to be one of the high end stainless steel that is widely demanded in the industry. Displays a high initial yield strength, our offered products cater to the variegated demands of customers. 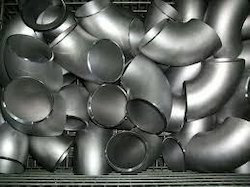 Noted among the top most organizations, we are well-known in the market as a manufacturer, supplier, exporter, distributor and importer of a wide range of PipeElbows. Designed these products as per the international quality standards, we aim to attain highest benchmarks of quality. Demanded across various industries, these products are known for low maintenance and durability. Price range may vary from Rs 300-3000 Per Piece.